Today, I woke up to blue sky and a perfect day for planting!! Fueled by the promise of fresh vegetables and over-caffeination, I raced around this morning gathering seeds that need planting, moving flats of seedlings outside to harden off and found the best ground ready for planting! We started with potatoes! 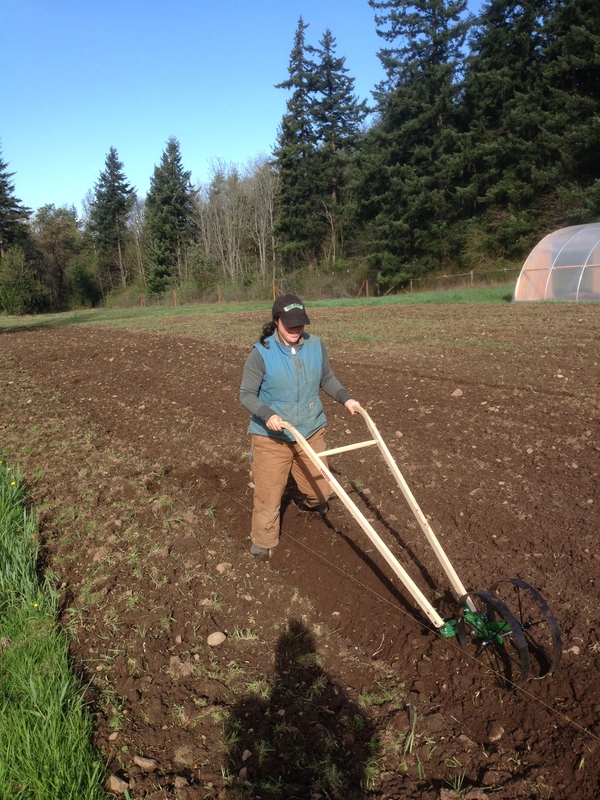 Dad and I took turns using the wheel hoe to dig a furrow for the potatoes…so much easier on your back than digging with a shovel! We also planted Huckleberry Gold, Yukon Gold and German Butterballs! Next, we planted half a bed of carrots, an orange and a yellow variety. The very delicious Carrot is a diva that will grow into funny shapes without a nice fluffy, rock and clump free bed. 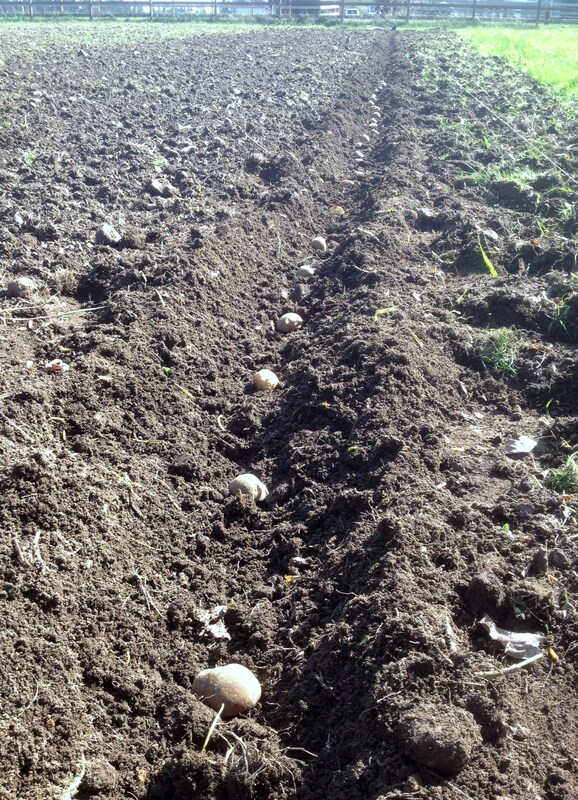 The carrot is worth the extra effort, so we dug out the paths, adding a little extra depth to the bed and went through by hand to remove rocks and clumps and roots left behind by the cover crop. 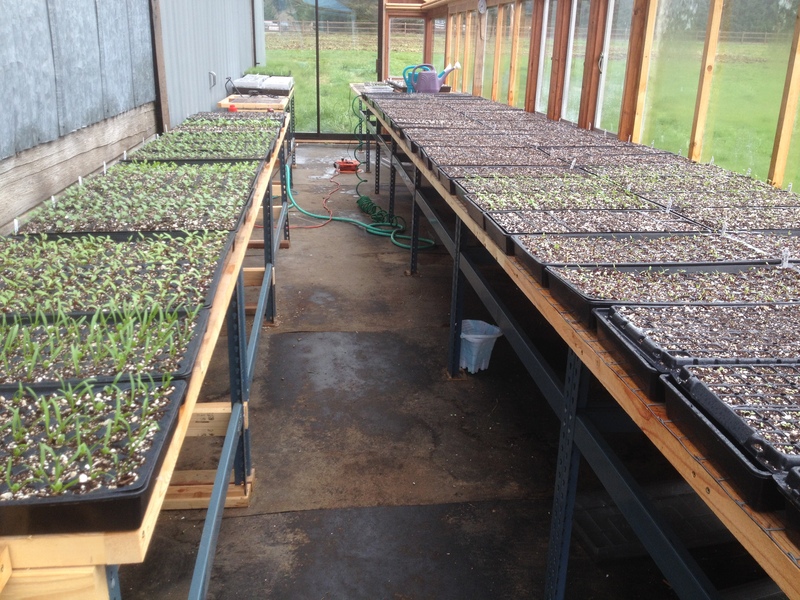 The second half of the bed will be planted in a week or two. 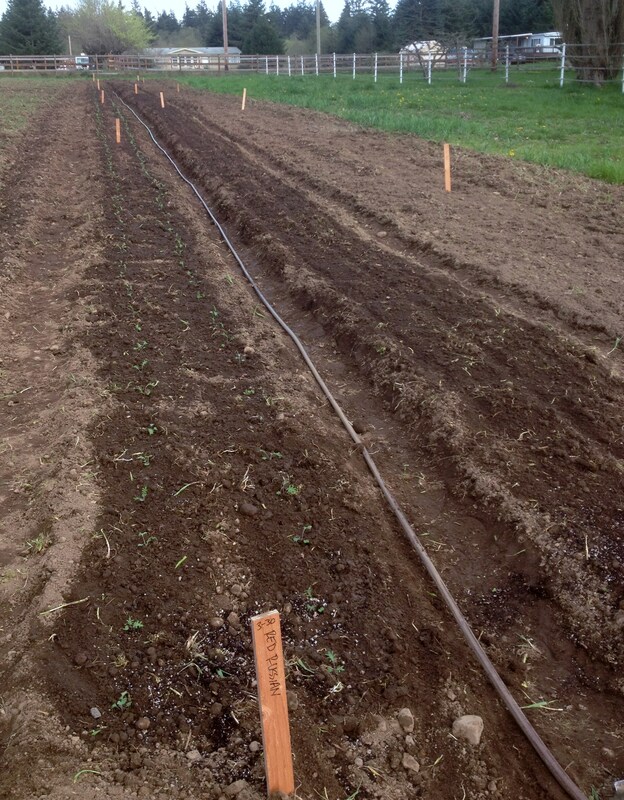 We finished the day transplanting three varieties of kale and one variety of cauliflower. This bed did not get the same attention to detail that the carrot bed enjoyed. It was measured, the path walked out and we raked it once to get out the really big rocks (There is quite the rock pile growing, I wonder if the Whidbey fighter jets that fly over can see it yet). Tomorrow, if it stays dry, we will plant more outside (chard, spinach, radishes)! If it rains and storms as predicted, there is another bed that is waiting to be planted inside the hoop house and more flats to be seeded! Previous Article 2015 Vegetable Challenge! Next Article Sign up for Farm Stand Credit!! I’m so impressed! Wishing you happy planting.